Season finale is upon us and things couldn't be worse for the residents of Alexandria. The walkers are entering the opening in the wall and everyone scatters to hide from the hoard. Who will fall victim to a walker bite and who will escape unharmed? Join us in our last podcast episode of 2015 to find out. Merry Christmas and happy new year to all from Jasmine and Michael, hiding out here in our apocalyptic bunker. 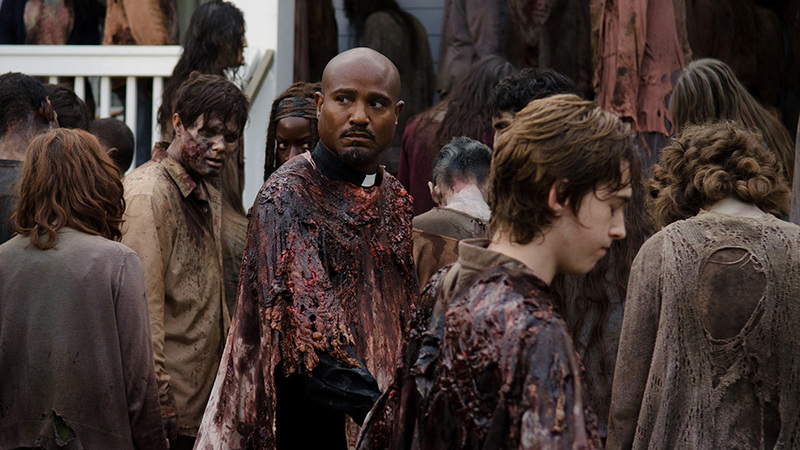 Father Gabriel (Seth Gilliam) in episode 8 of season 6.